Lovely cool morning. Just ready to set off to Tenant Creek. Not so fast – the zip on the caravan bra ( front protection) broke!!! Ring round a few upholsterers but no joy. We could travel without it on but there is a danger of stones flying up to hit the window. Manage to manufacture a plastic covered wire fix. 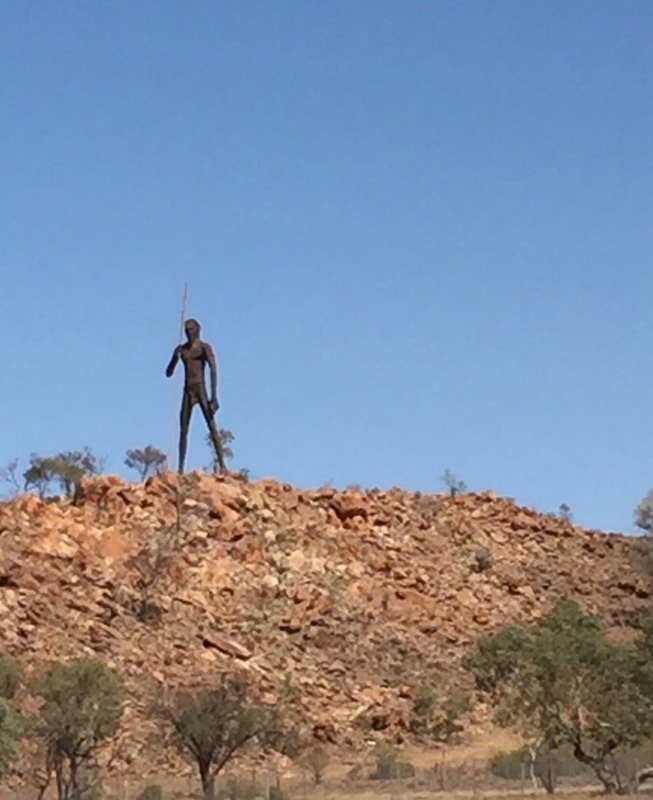 Head off to Tennant Creek. 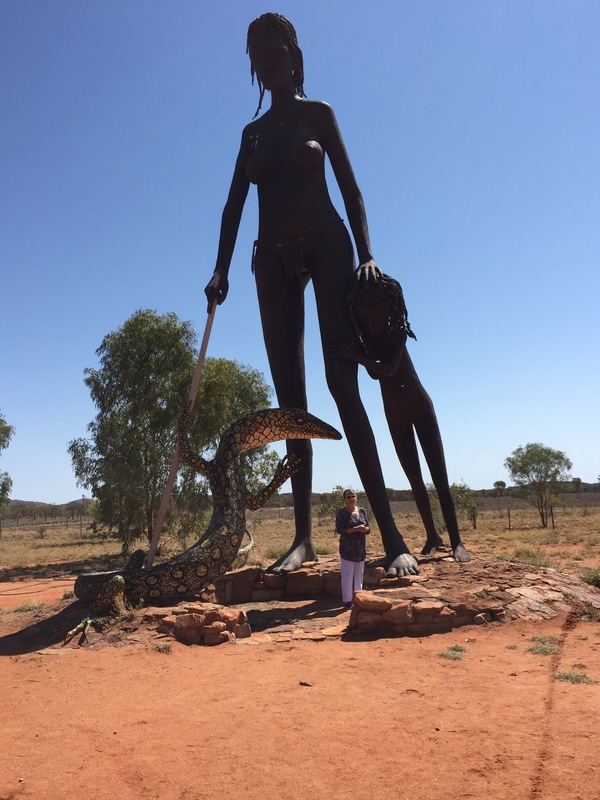 Stop at Anmatjere to photograph these amazing statues. In the middle of nowhere!!. And a wild flower You can just see me!!! Also see our first wild camels. 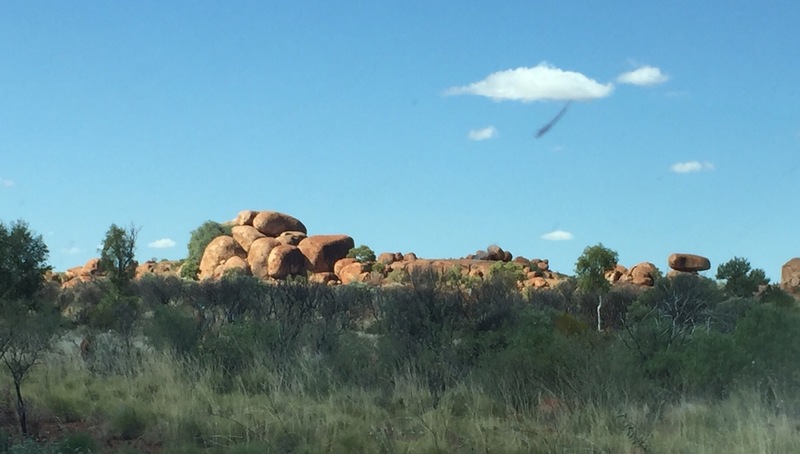 Pass by the Devils Marbles again. We were going to head off to Cammoweal in Qld today however the weather had other ideas. Windy with gusts up to 45kph. As we’d be heading across the Barkly Plains we decide to stay put. Wind gone off we go. We didn’t get far as the other zip on the bra gave out!!!!! Roadside repairs done – become an expert in wire sewing!!!!! Off we go. We stopped at the Barkly Roadhouse for lunch – very pleasant and set off again. I don’t think I’ve mentioned road trains. These are 4 trailers on a lorry (truck). When towing a caravan they can be a bit of a nightmare with the wind they create travelling over 100kph. 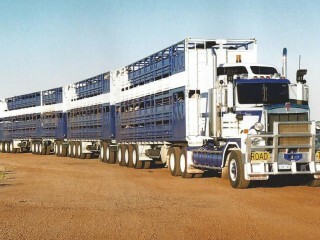 Well we were following a full cattle road train across the plains from NT to Qld. 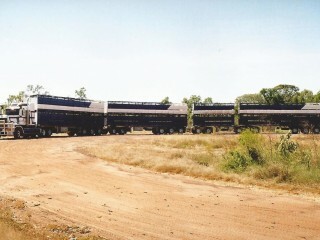 Then – during the next 1 1/2 hours of travelling 14 more empty cattle road trains came towards us – yes, 14 !!!!!!! All pulling 4 empty cattle containers. Each train has 7 decks and each deck can take about 28 cows – about 2744 cattle!!!!!! Or it could be more. 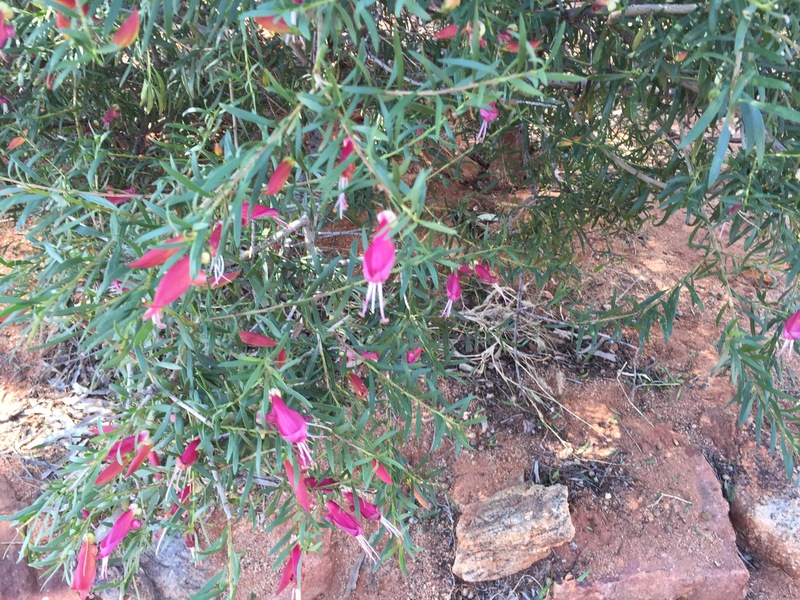 What we also noticed from Alice Springs ( the red centre) is how green everywhere is. The 2 lots of unseasonal rain has made for an unseasonal growth of vegetation. Last time we crossed the Barkly in June 2008 it was brown/red & dry. Hopefully as we travel through outback Queensland we will see more green !!!! This entry was posted in Uncategorized on September 6, 2016 by aloeliz.